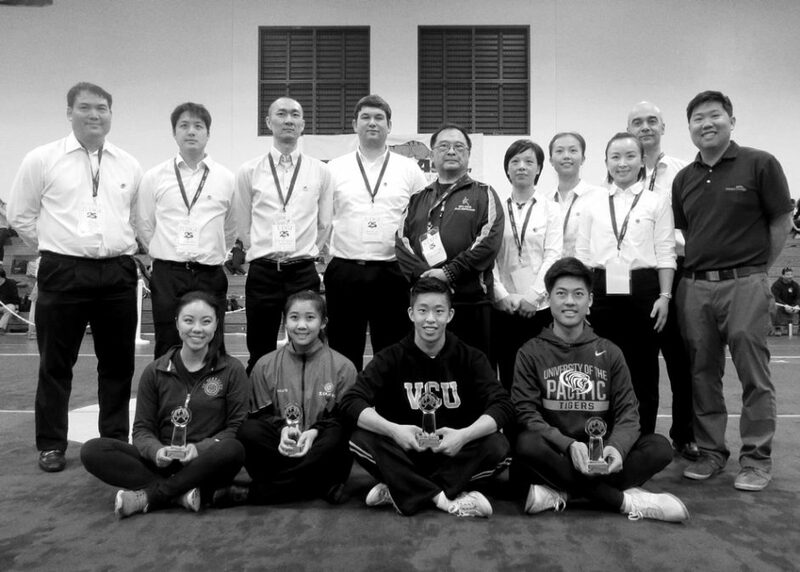 In March, I was invited to judge at the 25th Chinese Martial Arts Tournament at UC Berkeley to select the US Wushu Team that will compete at the Universiade in Taipei, Taiwan. This is the first time that wushu will be included as a competition sport at the Universiade. The 29th Summer Universiade is an international multi-sport event, organized for university athletes by the International University Sports Federation (FISU). The US Team members are: Emily Fan, Jessica Yin, Wesley Huie, and Benson Lin. The judges for the event were Matt Wong, Anthony Chen, Brandon Sugiyama, Justin Eggert, Lynn Xu, Tina Han, Hannah Gao, and Emilio Alpanseque. I also performed baguazhang during the Saturday evening Master’s Demo to celebrate the 25th Anniversary of the UC Berkeley Wushu Club’s Chinese Martial Arts Tournament.